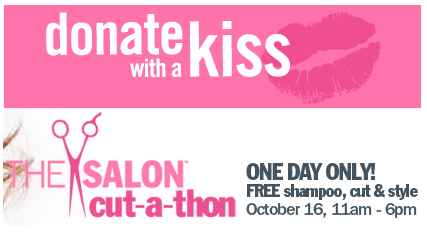 Ulta: Free Haircut with Donation to Breast Cancer Research! Make a $10 donation to Breast Cancer Research and receive a free haircut! Sunday, 10/16 only! Walk-ins only, will get a shampoo, cut and style FREE! 100% of the proceeds will be donated to the Breast Cancer Research Foundation®.